A very efficient design, which works in combination with the natural environment. For use on cliff tops, no vertical sections are required although they can be added to achieve additional height. The platform length is adjusted to work with the height of the cliff and the sheerness of its face. Cantilever footprint will vary according to cliff height and tower length. This tower design is extremely versatile. It was designed as a mobile tower but can also be placed in a permanent location. It requires only concrete blocks for foundations and everything fits on one truck or into a single shipping container. 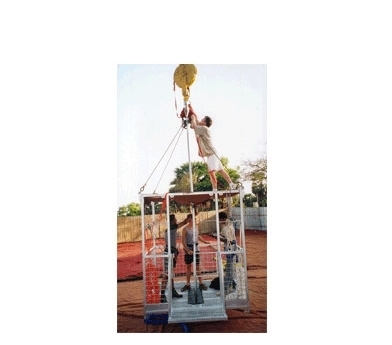 The tower can be used as a bungee tower or also as a reverse bungee ride called the Rocket Launcher. Installation for either application takes less than a day! Inquire about used Arches for sale. The arch tower requires a 60 x 80 ft. footprint. This is a classic tower design used all over the world. Available with elevator or stairs, depending on desired height of tower. Inquire about used towers for sale. The inverted L tower requires a 90 x 90 ft. footprint. The inverted L tower are typically configured at 100ft (30M) and 150ft (46M) but can also be customize to your requirements. A design suited for locations where high turnover is required. Available with elevator or stairs. The option exists to have the platforms placed at different elevations to give clients a choice of two jump heights. The T tower requires a 90 x 90 ft. footprint. The inverted L tower are typically configured at 75ft (22M) and 125ft (38M) and 150 ft (45M) but can also be customize to your requirements. This is the least expensive option for a tower with an elevator. Simple yet elegant! The leaning tower requires a 65 x 75 ft. footprint. 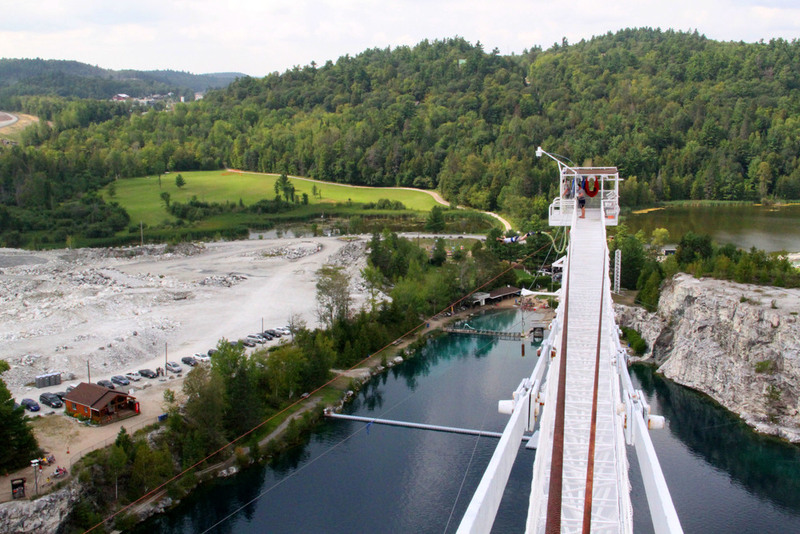 This is the fastest way to get into the bungee jumping business and has the least upfront cost. 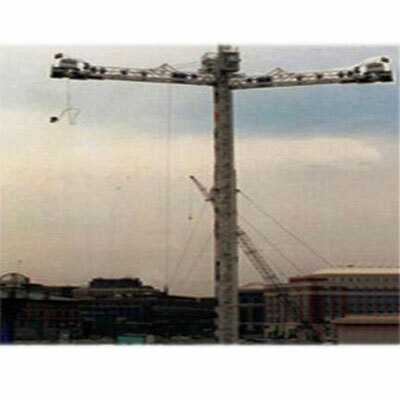 Using a mobile crane also allows you to test the market before investing in a purpose-built tower. We will assist you in choosing an appropriate crane, designing a jump platform, and supplying the required equipment and training. Mobile crane footprint will vary according to crane height, width and length. * Pricing does not include foundations, crane rentals for installation, permits, electrical requirements, airfare/accommodation for BCI crew.